There are many markets: markets for stocks, futures, options and currencies. These are probably the most accessible markets for everyday traders like you and I. People easily understand the basics of trading shares, so I will occasionally use examples from that market. I began trading shares first and then I moved on to trading currencies; therefore, most of the examples I will be using in this book are derived from trading currencies. 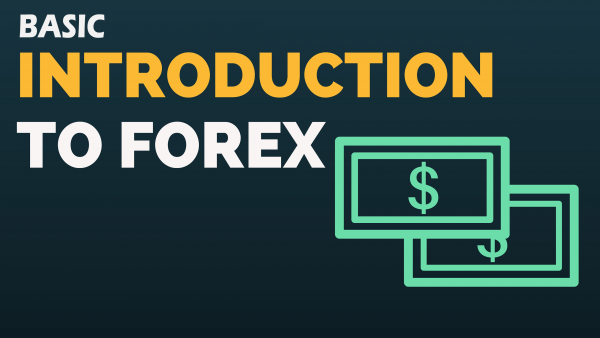 If you do not know a lot about currency trading, allow me to introduce it to you. It is what I trade and I believe that it is one of the best markets to trade because of its efficiency. The transaction costs to execute a trade are minimal and most brokers provide you with the tools and data you need to make your trading decisions, they usually provide them for free. The market is open 24 hours a day which allows you to design your trading hours around your daily commitments. It is very volatile, which is great for those people who are looking for day-trading opportunities. The foreign exchange market is the market in which currencies are bought and sold against one another. People may loosely refer to this market under different labels, including foreign exchange market, forex market, fx market or the currency market. The foreign exchange market is the largest market in the world, with daily trading volumes in excess of $1.5 trillion US dollars. All transactions involving international trade and investment must go through this market because these transactions involve the exchange of currencies. It is the most perfect market that exists because it has a large number of buyers and sellers all selling the same products. There is a free flow of information and there are little barriers to participate. The currency exchange market is an over-the-counter (OTC) market which means that there is not one specific location where buyers and sellers can actually meet to exchange currencies. Instead, transactions are conducted by phone, fax, e-mail or through the websites of brokers who specialize in currency trading. The major dealing centres at the time of writing are: London , with about 30% of the market, New York , with 20%, Tokyo , with 12%, Zurich , Frankfurt, Hong Kong and Singapore , with about 7% each, followed by Paris and Sydney with 3% each. Because of the fact that these centres are all over the world, foreign exchange traders can execute transactions 24 hours a day. The market only closes on the weekends. The five broad categories of participants are: consumers, businesses, investors, speculators, commercial banks, investment banks and central banks. Consumers, including visitors of countries, tourists and immigrants, do need to exchange currencies when they travel so that they can buy local goods and services. These participants do not have the power to set prices. They just buy and sell according to the prevailing exchange rate. They make up a significant proportion of the volume being traded in the market. Businesses that import and export goods and services need to exchange currencies to receive or make payments for goods they may have bought or services they may have rendered. Investors and speculators require currencies to buy and sell investment instruments such as shares, bonds, bank deposits or real estate. Large commercial and investment banks are the ‘price makers’. They are the ones who buy and sell currencies at the bid-and-offer exchange rates that they declare through their foreign exchange dealers. Commercial banks deal with customers on one hand, and with the Interbank or other banks, on the other hand. They profit by utilizing the bid-and-offer spread. The bid price is the exchange rate that the buyer is willing to buy and the offer price is the exchange rate at which the seller is willing to sell. The difference is called the bid-offer spread. They also make profits from speculating about whether the exchange rate will rise or fall. Central banks participate in the foreign exchange market in their effective duty as banks for their particular government. They trade currencies not for the intention of making profits but rather to facilitate government monetary policies and to help smoothen out the fluctuation of the value of their economy’s currency.